MooseStash Quilting: Missing in Action You Say? Missing in Action You Say? Yes, I've been missing for a bit now. It's been crazy busy here. I was working "Shop Hop". I don't know what will???? Needless to say, a silly time was had by all! Gotta love our uniforms don't you? 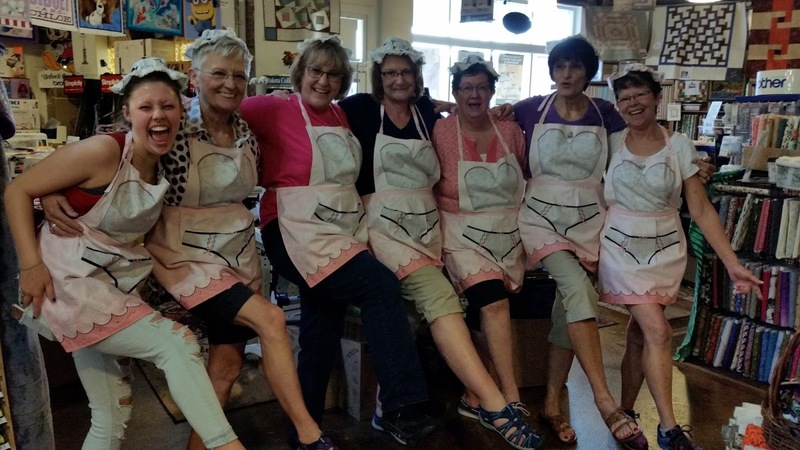 They kit-ed up an entire bolt of aprons, and only had a couple left with it was all over. I am guessing that means they were a BIG hit! 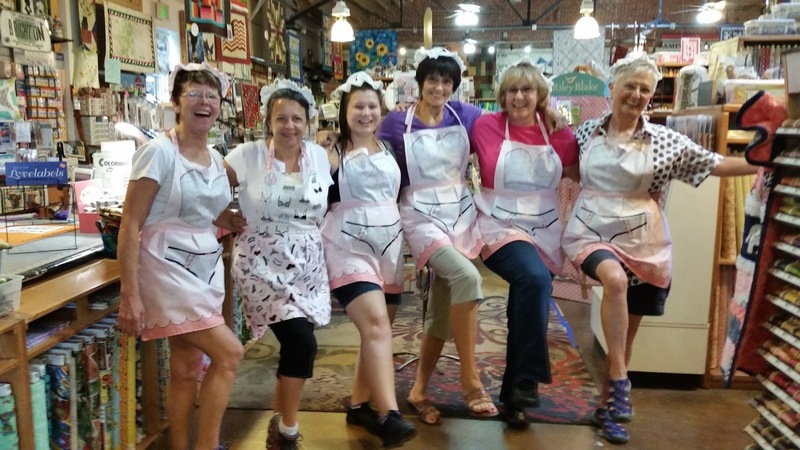 It was fun being a French Maid at the shop, but I certainly don't want to be anyones maid now that I'm home. Then this week, I've been on a row by row mission. Next week I'm doing a 2 day road trip to the other side of the state. We are almost at the end here, so I've got to get my rear in gear! But I do have this row from Alaska to share. These guys were from last year, at the Quilted Raven in Anchorage. Heck, salmon swim upstream to spawn. That's like "Home Sweet Home" to them! What the heck, I forgot to take photos of them. Oh my, what can I say. and can share the quilt with you. It's just been too crazy here to get it done. I can't wait to share what's happening starting next week. 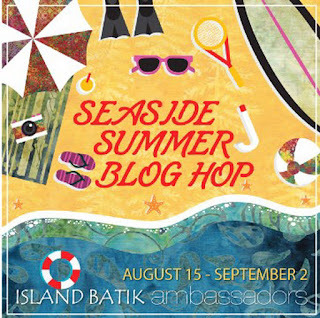 Our big "Island Batik" Summer Blog Hop. All my fellow Ambassadors are playing along. Now here am I thinking you dressed like that at home all the time!!! Must have been the best shop on the hop[!!! Love seeing the rows made up and can't wait to see what you have done with yours. Oh fun!!!! I love the Alaska row. The colors in it are spectacular.